Paresh Rawal is one of the most renowned actors of Bollywood. He has worked in many regional movie industries and played a wide variety of roles in his films. Due to his remarkable contribution to the Indian film industry, he has won many awards in his lifetime. He is an inspiration for the young actors who want to pursue their career in the film industry. Paresh Rawal is one of the most successful and famous actors of Bollywood. He has worked in every type of film in his career and done a justice to every role. The actor has not only worked in the Bollywood but also impressed everyone with his exceptional acting in the other regional movies. Paresh Rawal Movies have done an excellent business at the box office. 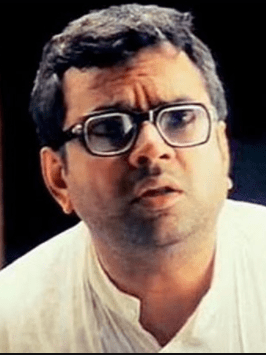 Paresh Rawal started his journey in the Hindi film industry with the movie Arjun in the year 1985. Earlier, he used to play the villainous roles but later shifted to the comedy roles in his movies. Due to an in-depth acting, the actor has won many awards in his film career and was also awarded Padma Shri for his contribution to the Indian cinema. Some of his movies in which he has played the role of a villain are Naam, Shiva, Mohra, Tamanna, Aitraaz, Table No. 21, Zila Ghaziabad, to name a few. Other films of his career in which he got the role of a comedian are Hera Pheri, Phir Hera Pheri, Andaz Apna Apna, Golmaal: Fun Unlimited, Welcome, and many more. His role of Babu Rao in the Hera Pheri, Phir Hera Pheri and as Mama in Welcome received positive reviews from the audience and critics. Recently, Paresh Rawal was seen in the hit movie Tiger Zinda Hai and did a wonderful job in the movie. Currently, he is working on his upcoming movie, Sanju, which is going to release in the year 2018.